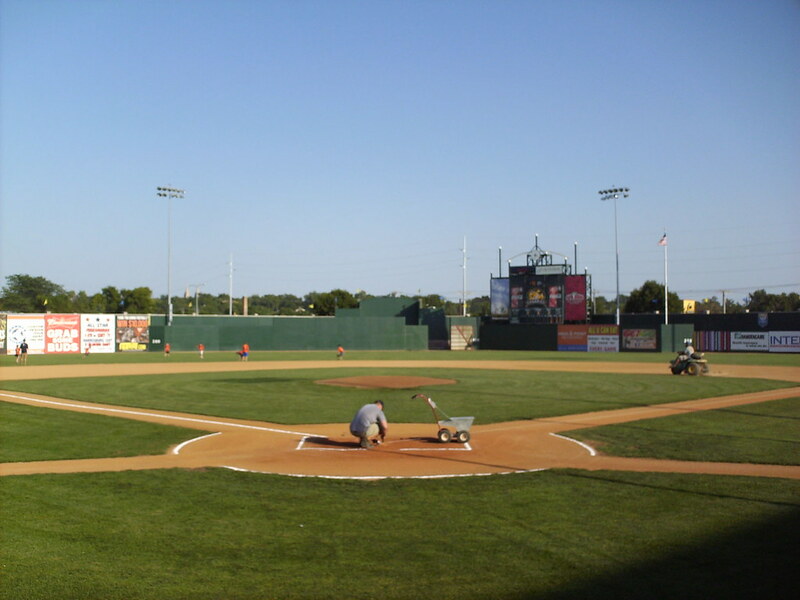 The view from behind home plate at Sioux Falls Stadium. 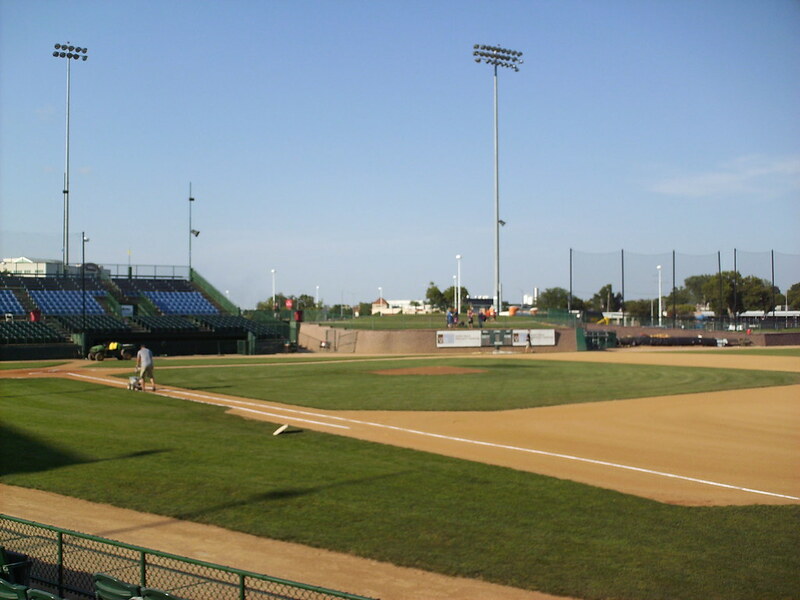 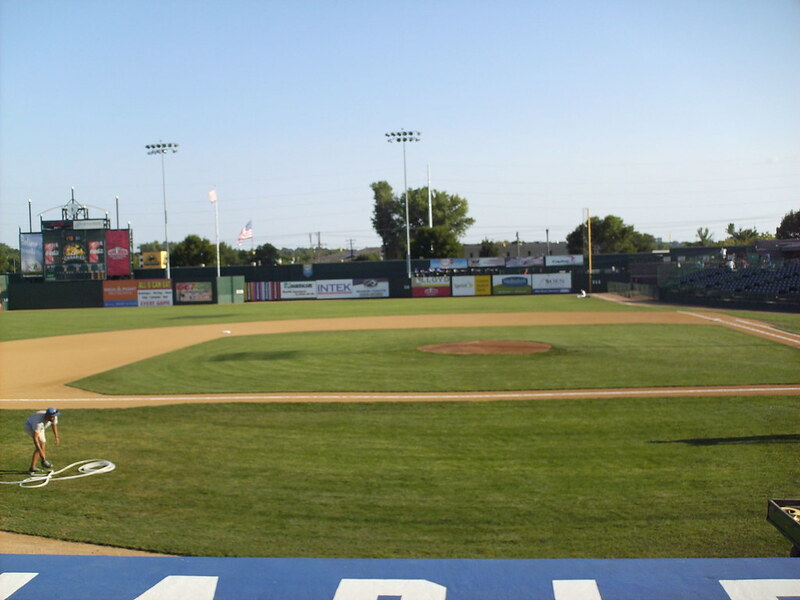 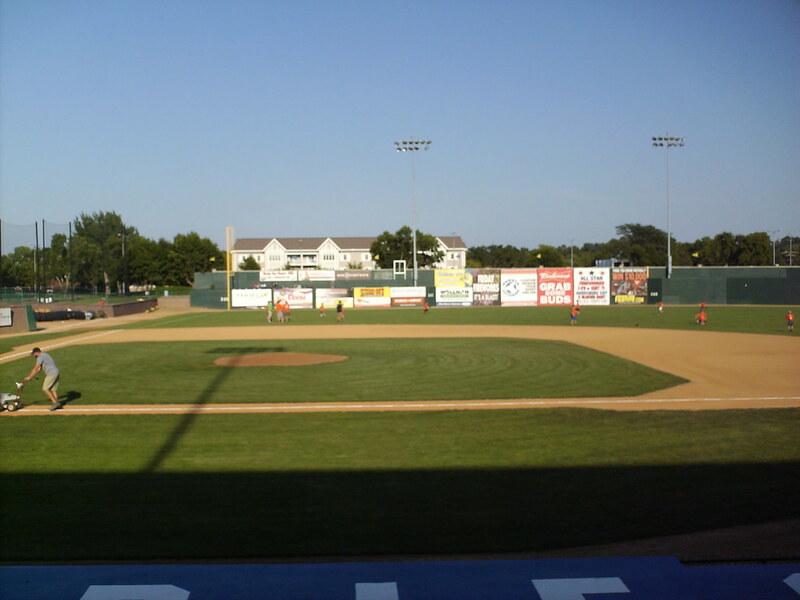 The grandstand at Sioux Falls Stadium, as seen from the left field corner. 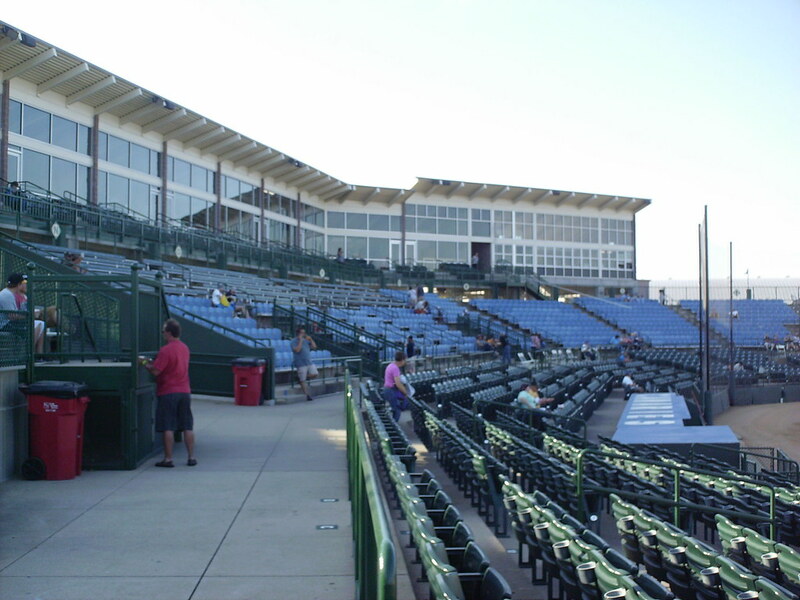 The pressbox sits behind home plate, with luxury suites extending down the first base line. 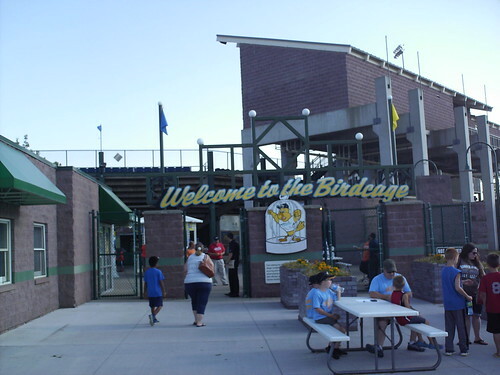 There are no luxury boxes on the third base side. 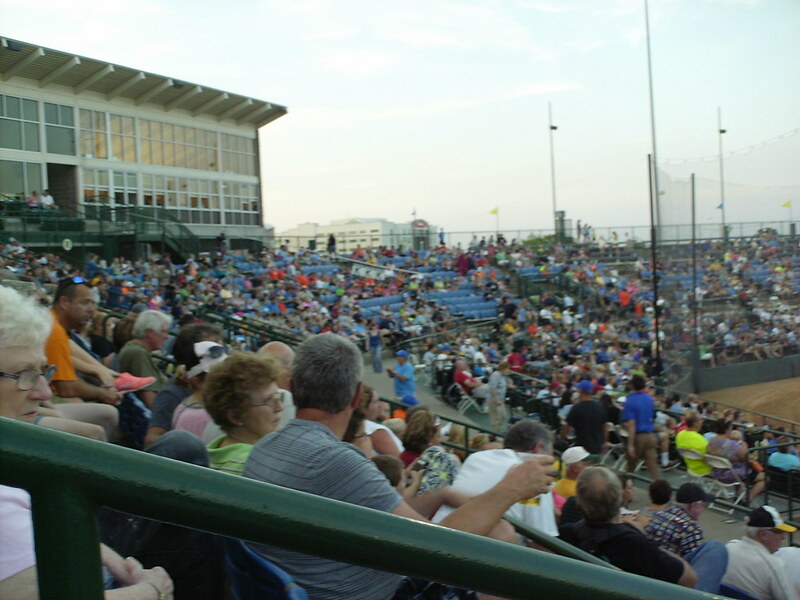 The grandstand features several distinct seating areas, with metal bleachers, plastic bucket seats and green fold down seating. 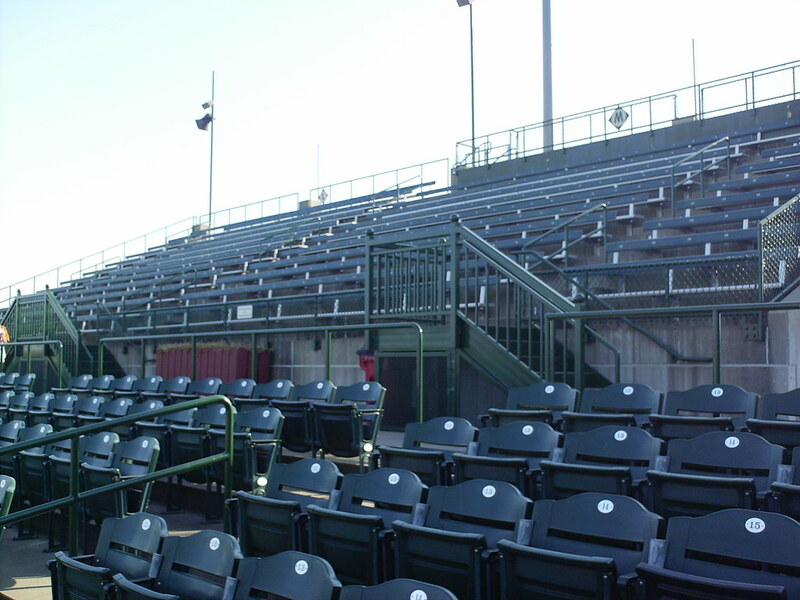 A large bleacher section sits at the end of the grandstand on the first base side of the ballpark. 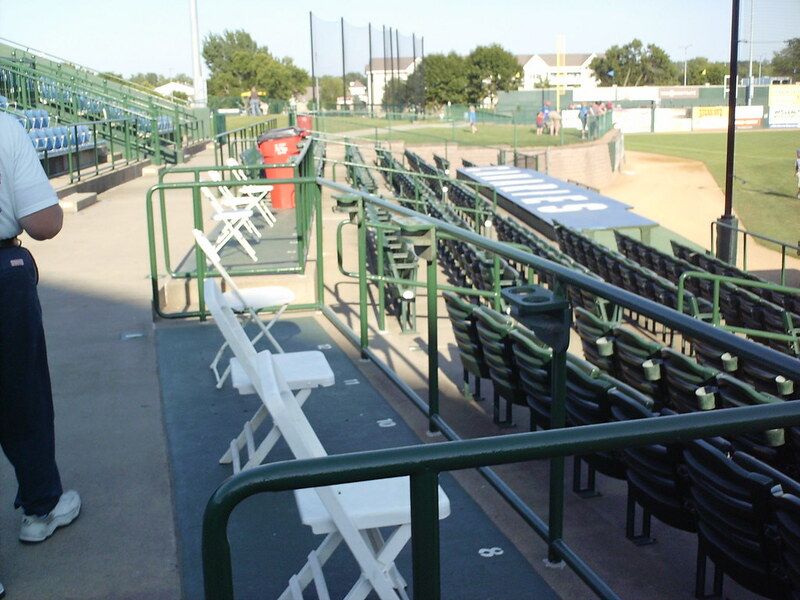 Handicap seating boxes feature loose white folding chairs. 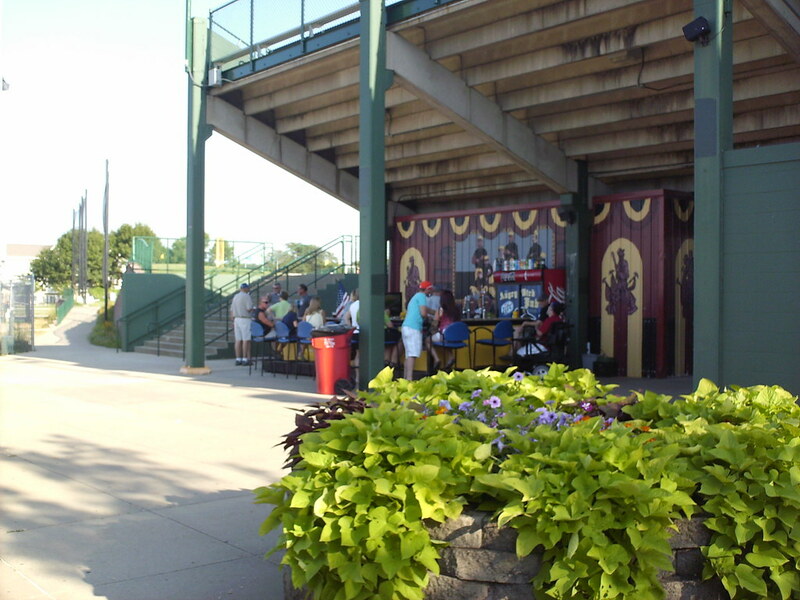 A group seating area in the right field corner features picnic tables, including some on the roof of the concession stand. 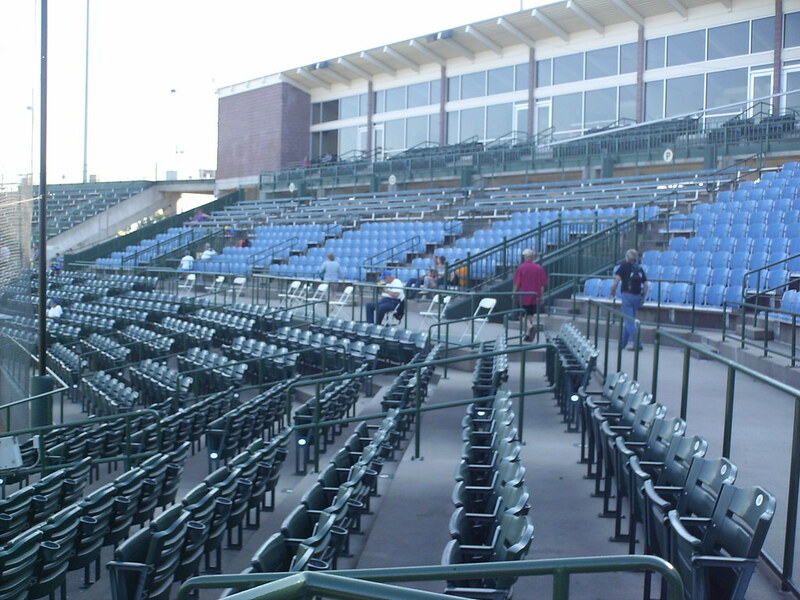 Table seating sits above the outfield fence in the right field corner. 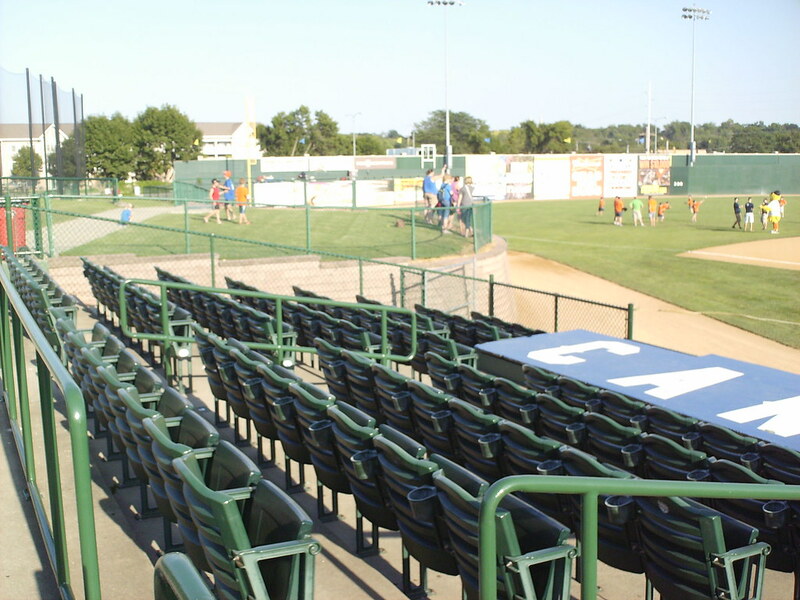 More group seating areas sit atop the left field wall at Sioux Falls Stadium. 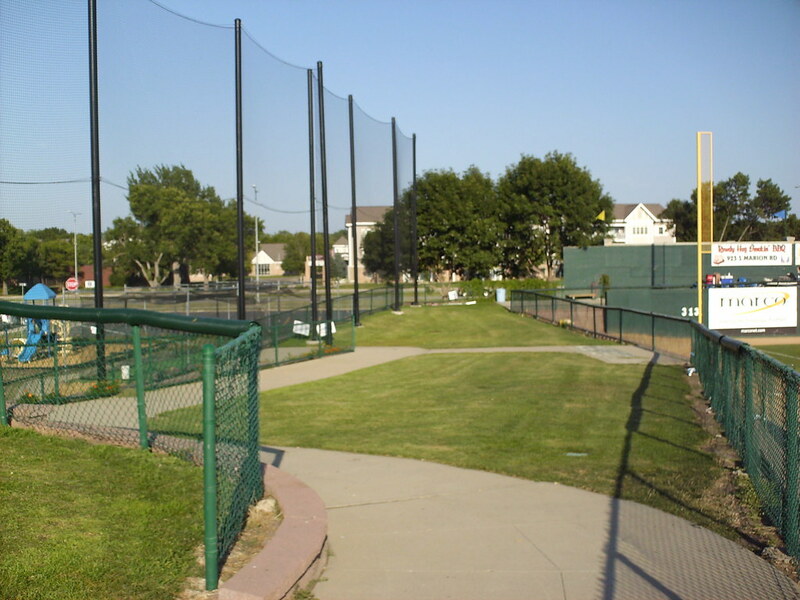 Grass berm seating runs down the third base line, with a net protecting the children's play area down the hill. 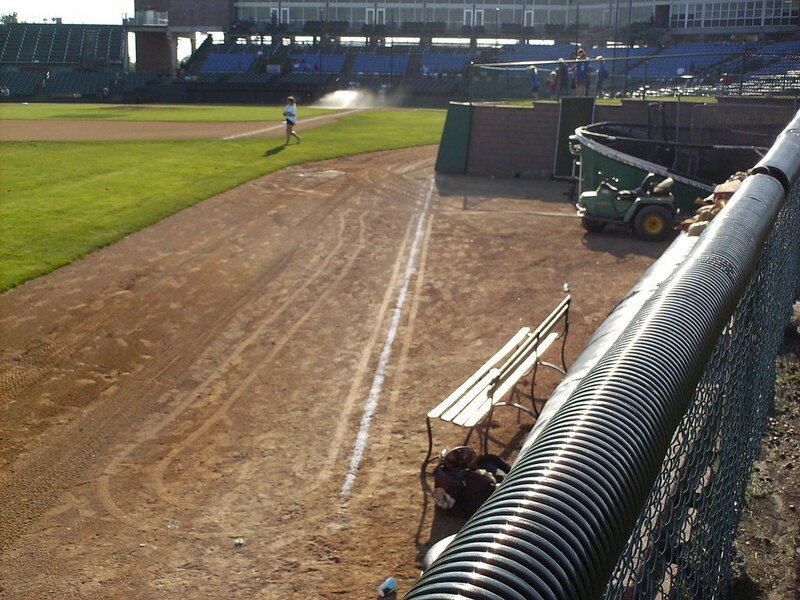 The third base berm presses out into foul territory, creating a curved wall and several unique corners. 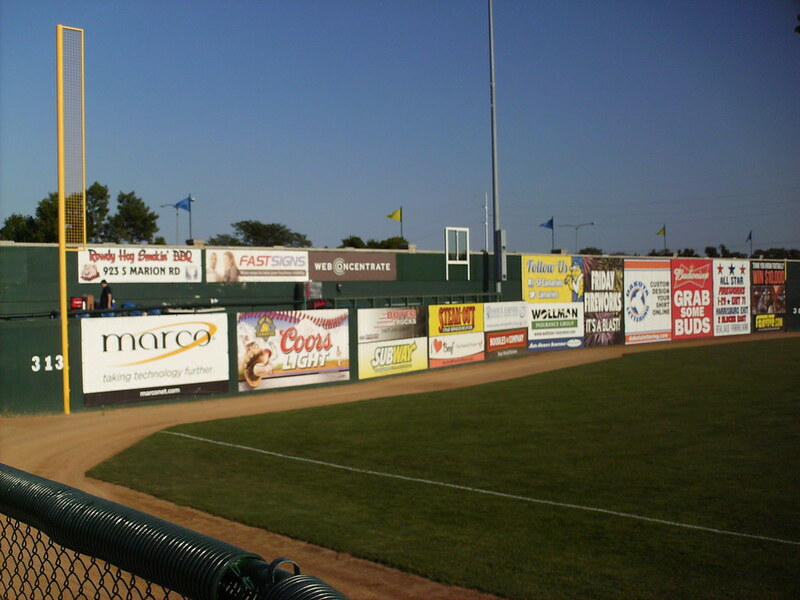 A small auxiliary scoreboard sits on the front of the third base berm at the Birdcage. 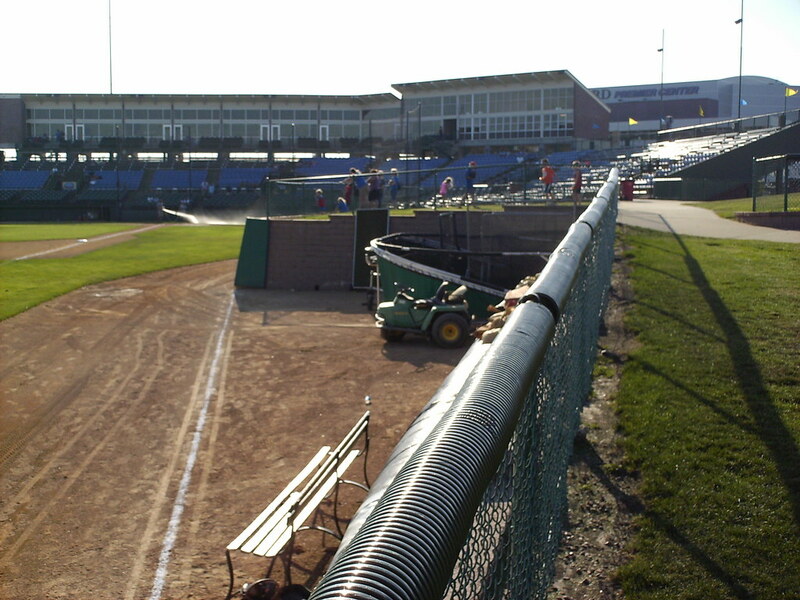 The bullpen on the third base side sits out of play in the alcove formed by the berm jutting out into the field. 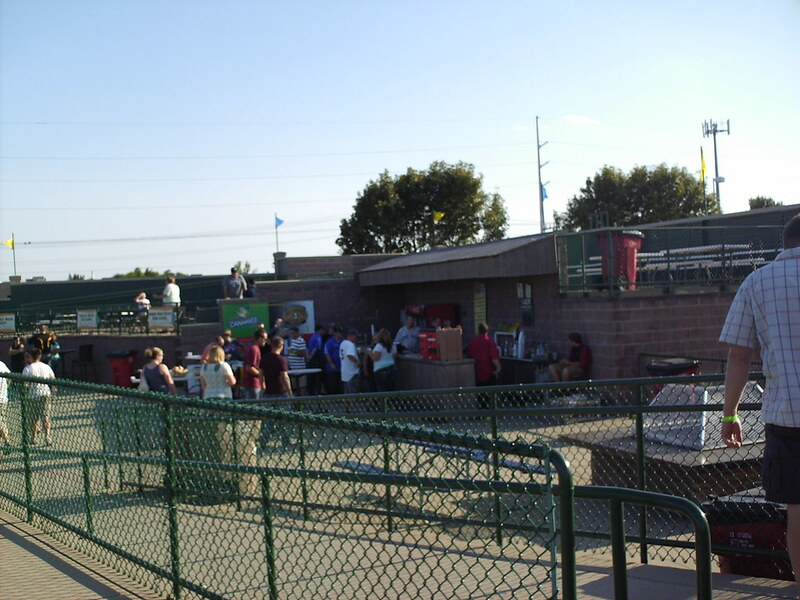 The concourse at Sioux Falls Stadium, with a full bar tucked underneath the seating bowl. 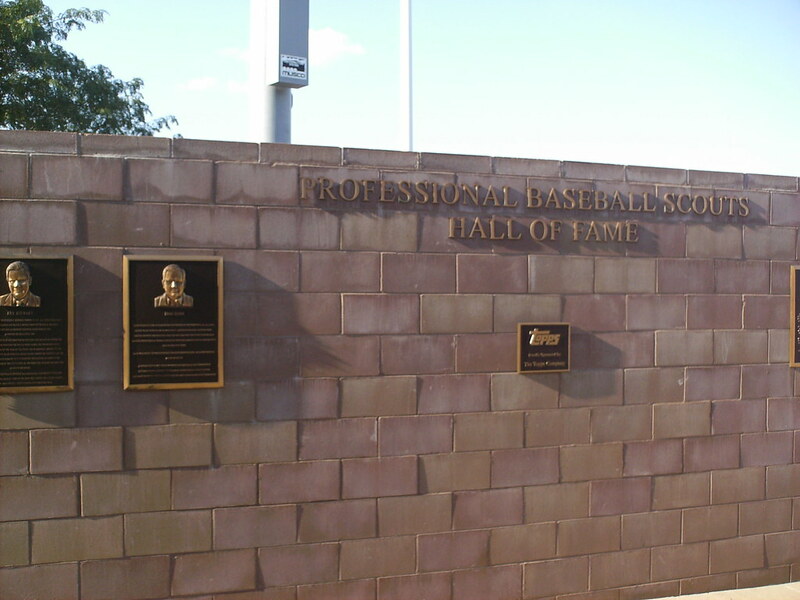 The Professional Baseball Scouts Hall of Fame exhibit on the concourse at the Birdcage. 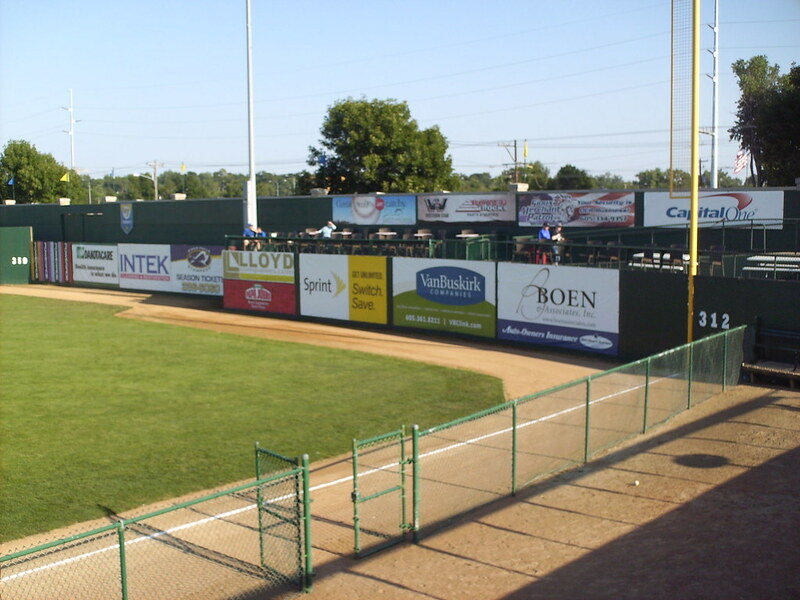 The scoreboard in center field, with the park's original brick walls sit behind the current outfield fence. 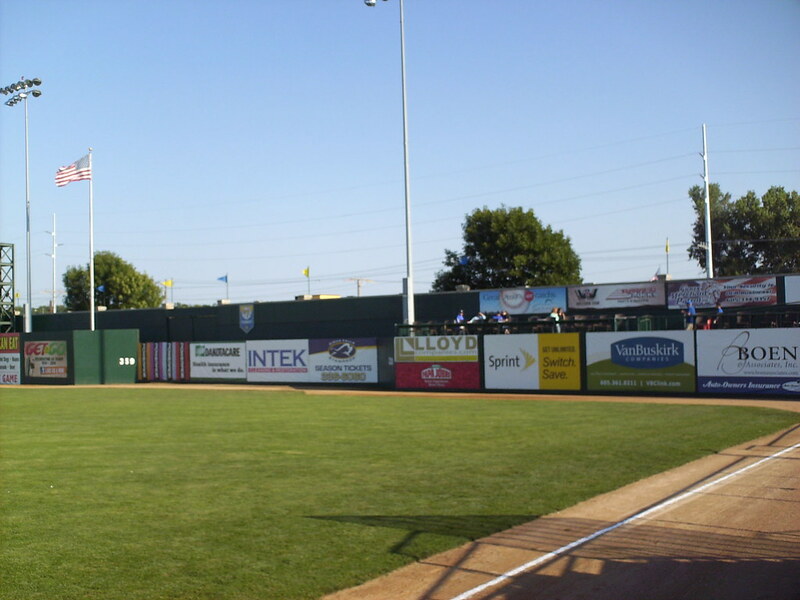 The outfield fence features a pair of alcoves in right and left center field, like those found at Wrigley Field. 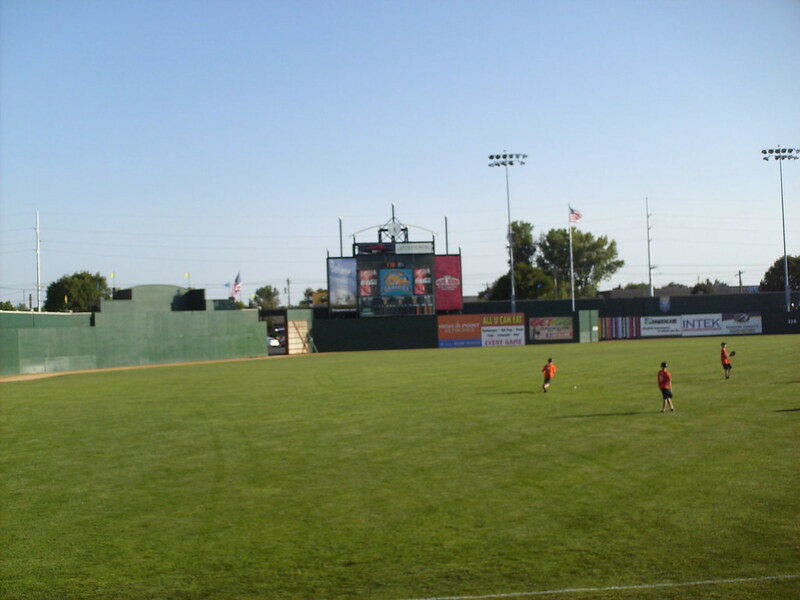 Fans in Sioux Falls slide K-cards down a wire over the stands to count strikeouts by Canaries pitchers. 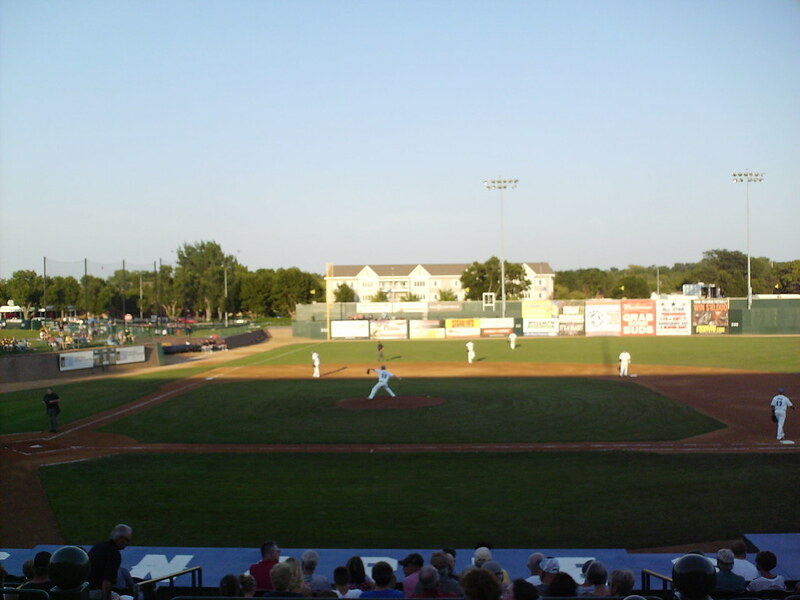 The Sioux Falls Canaries on the field during a game at Sioux Falls Stadium.